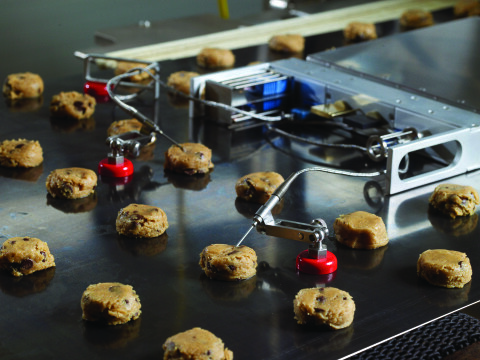 Controlling internal food temperature is key to achieving Food Safety. Today’s food processors must also document how they are meeting food safety requirements with data. The SCORPION® 2 Data Logging Measurement System makes both jobs easier. The SCORPION® 2 Data Logger with R&D Smart Sensor and Product Probes simplifies the measurement of environment temperature, airflow, energy transfer and internal product core temperature. Plus the SCORPION® 2 Software (SV8) calculates and displays the % kill for a specified pathogen reduction level. By combining this ease of measurement with robust data capture, the SCORPION® 2 System enables better process optimization. No other system makes achieving desired levels of food safety and throughput so simple. The Bread & Bun Baker faces additional profiling challenges due to oven size, long bake times and the need to produce the bake cycle S-curve. Reading Thermal has designed a set of solutions focused on these challenges. Record your processing conditions when your product quality is within specification. Save these profiles for future reference as “target” conditions. Use the SPC function included in the software to establish upper and lower control limits for your process temperature, air velocity, heat flux and humidity profiles. Take a SCORPION® profile a few minutes before introducing product into a process. This is a good check that the process has reached the correct operating conditions before production is started. Compare SCORPION® profiles for two process ovens, perhaps in different factories, that are supposed to be making the same product. Heat process ovens usually include dampers and other controls that must be set by the installation engineer. Use SCORPION® to check that these have been set correctly. Repeat the profiles as part of your preventative maintenance program to detect drift in zone conditions and to pin-point the cause of problems when they do occur. Most oven manufacturers now use SCORPION® to design their heat processes. This is an invaluable tool for design engineers to balance heat and airflow across the width and along the length of the process oven. Use SCORPION® to record the processing conditions you develop in the lab or in a pilot plant. Then, use SCORPION® again to establish the same conditions as the new product is transferred to a full-scale production line.